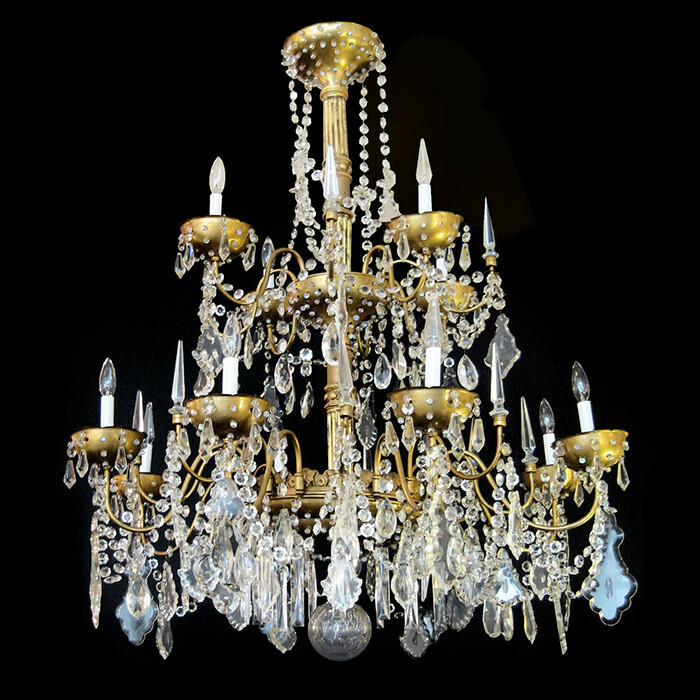 Important Maison Jansen designed 12 light chandelier. Gilt Bronze with crystal spire finials, faceted crystal pendalogues, and rosettes.canopy and bobesches decorated with crystal fleurettes. Dimensions: H:49 Diameter: 39 Inches.